Lilac Anime Reviews: Lilac is on The Five Point Podcast! Lilac is on The Five Point Podcast! 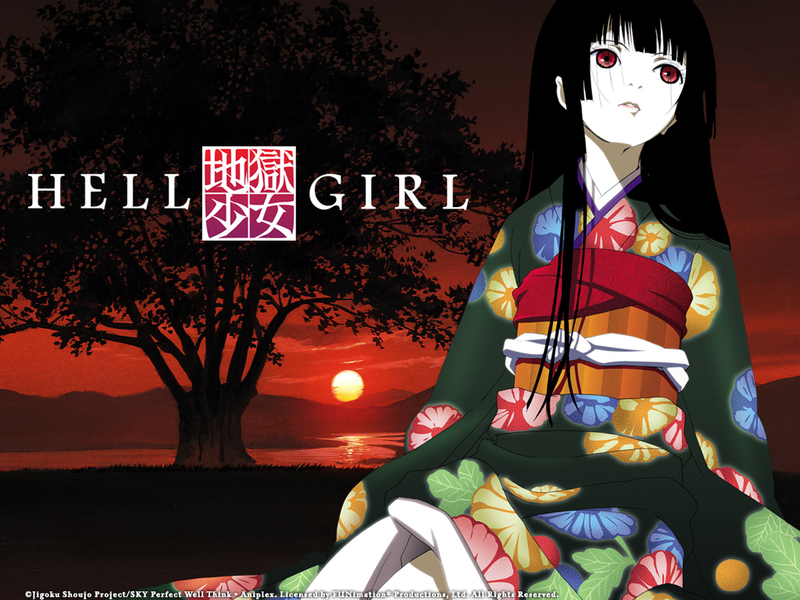 So, recently, I decided to team up with Bobcat and Burk from The Five Point Podcast (awesome guys, by the way) for a First Impression review of Hell Girl. We watched the first 4 episodes at the request of Paranormal Rob, and it was such a fun time! Thanks again to Bobcat and Burk for making my first podcast experience a lot of fun! Here's the podcast, I guest starred in! If you want to listen to any more of their podcasts, then you can find a link to their site on the "Other Otakus" section of the blog. Also, a little announcement to go along with this. Since I've been having fun taking part and listening to podcasts lately, myself and the other MODs from The Bukkit forums are going to start our own podcast! We don't have a name yet, but we're planning on recording the first episode next week! I'll post the podcasts here, as they are released! Also, I tentatively plan on doing another Lilac's Impressions for the Fall Anime Season. I'm up to 11 shows of interest, but I want to narrow it down some more before writing up anything. We'll see how it all goes, I guess. That's it for me! Until next time, otaku on my friends!